Dear god. 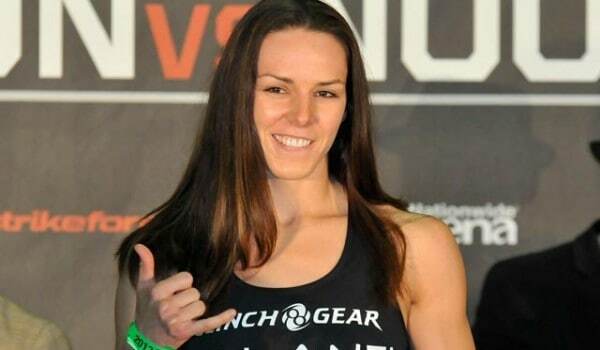 Look, I’m not about to undercut Alexis Davis here because she is a fine fighter and has as good of a chance as any other fighter against Ronda Rousey, but she’s confident that she’ll be able to defend the armbar against Rousey. In an interview from Inside MMA last week she was talking with Miesha Tate and when asked if she thinks she’ll be able to defend the armbar, she says that she will be able to, then immediately says that black belts armbar her all of the time. Confidence is a very important thing when going into a big fight, but for Alexis Davis to act confident and then admit that people who aren’t Ronda Rousey are armbarring her in training, I don’t know, seems kind of suspect. Watch the video for yourself and see how Alexis Davis reacts, but who out there thinks that she’ll be able to defend Rousey’s armbar?